Ready to celebrate the season? Costa Mesa has a lineup of 9 holiday events and free things to in OC to help make your holidays memorable. We want you to indulge in yourself or with your family and friends this season, and we have a special gift to help get your planning under way. Now through January 11, 2018, book two nights at a participating Costa Mesa hotel and receive $100 to shop or dine at South Coast Plaza. Plan around our calendar of events in Orange County and join us to celebrate the holidays. For three Sundays in the month of December (3, 10, 17), experience the magic of a beloved holiday story of The Nutcracker. Between 10 a.m. and 1 p.m., visitors to SOCO and The OC Mix will have the opportunity to take photos with performers from the Festival Ballet Theater, including The Nutcracker, Sugar Plum Fairy, Santa and even the star of the show, Clara. This is the perfect time to get out for some holiday shopping, where gift wrapping will be complimentary for patrons of SOCO. Bring friends and family and enjoy live music, dancing and holiday activities. Forecasters are predicting snow in Costa Mesa this year! 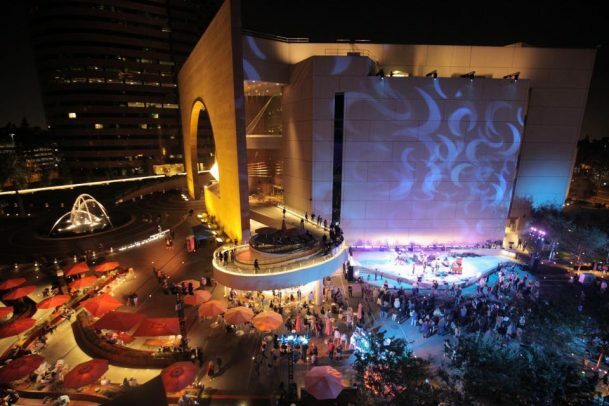 That’s right, even when the weather is a mild 72 degrees, you can experience a winter wonderland as snow falls on The Argyros Plaza at Segerstrom Center for the Arts throughout the month of December. The sights and sounds of holiday traditions come to Segerstrom Center for the Arts in a Holidays Around the World celebration from December 7 to 17. 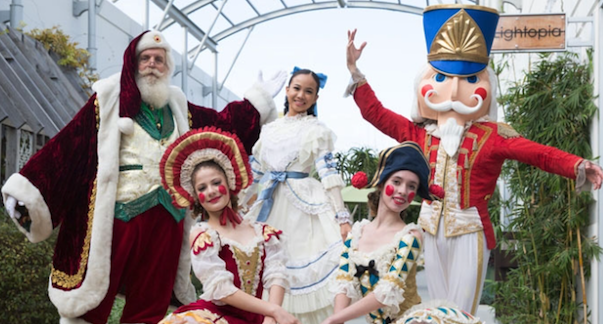 While the Nutcracker comes to life inside the theater, and A Christmas Carol is re-enacted in its 38th annual performance, live performances and family activities will take place on the newly completed Argyros Plaza outside. Bring the whole family and grab a bite to eat at Center 360 Café before heading to the theater, or simply spend the evening, explore local artisans and enjoy the spirit of the holidays with snowfall, Southern California style. If you’re looking for toe-tapping, finger-snapping, hip-swaying music, you’ll enjoy the celebration of some of the greatest music artists of our time in Motown the Musical on stage between December 19 and 24. Explore a full schedule of pre-show and theater performances at Segerstrom Center for the Arts and South Coast Repertory. 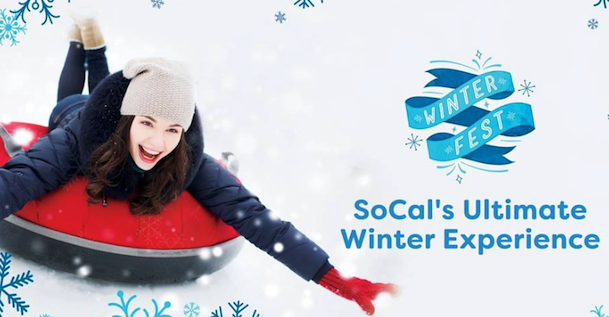 Plan a snowy adventure in Orange County where you can get the ultimate winter experience at Winter Fest OC! Bring the whole family or make it a date night and go sledding down the 150-foot ice tubing slide, play in the snow, enjoy entertainment and a see a holiday tree lighting with snow fall each evening. Get on your warm coats and scarves and head over to the OC Fair & Event Center for an afternoon or evening of holiday cheer. Hours vary and prices are as follows: $15 general admission; $10 for children 12 and under; free for children 3 and younger – plus the website offers a variety of value packages to experience all the fun. The beloved Snoopy House holiday display has been a Costa Mesa and Orange County holiday tradition since 1966. The holiday scenes are populated by “Peanuts” characters and is on display from 5:30 to 9 p.m. nightly from Dec. 14 through Dec. 23 in front of Costa Mesa City Hall located at 77 Fair Drive. Santa will make special visits to the event from 7 to 9 p.m. each night. A special opening night presentation will be held at 5 p.m. on December 14. This is a fun, free holiday event for children and their families and a great place to capture holiday memories with free photos with Santa. Santa’s Village is alive and Carousel Court has transformed into the North Pole at South Coast Plaza, California’s largest shopping mall. 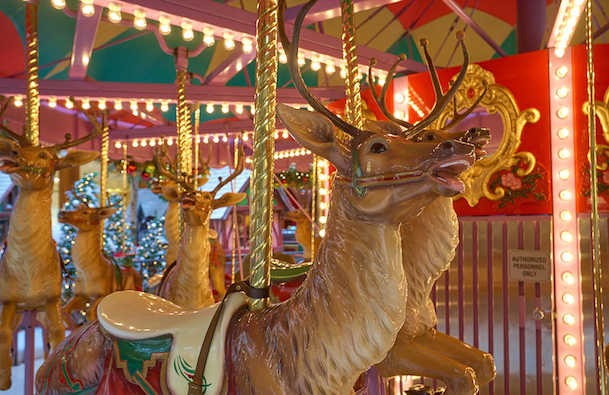 Children will love the opportunity to ride a reindeer on the holiday carousel; visit Santa’s Workshop and capture photos with the beautiful wintery backdrop of mountains and snow created inside South Coast Plaza. 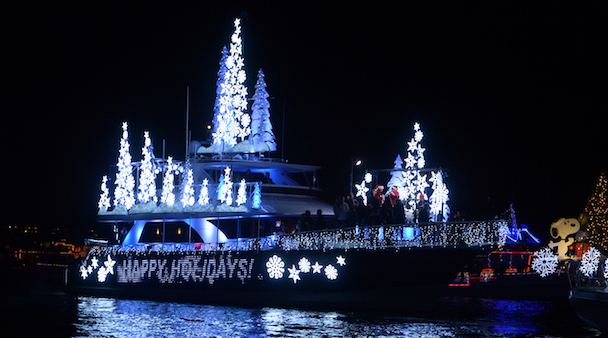 Celebrating the 109th Christmas Boat Parade, Newport Beach is home to one of the largest and longest running Christmas boat parades in the country. More than 100 boats will set sail in the Newport Harbor during the five-night parade. This free Orange County event is so popular that there are more than a dozen viewing areas along the shore, or piers surrounding Newport Harbor. An easy-to-navigate map with the parade route and viewing areas is available to help plan your outing. If you want to make it an extra-special evening, make a reservation at one of several restaurants along the waterfront, where you’ll experience a dazzling show of lights while enjoying a delicious holiday dinner. 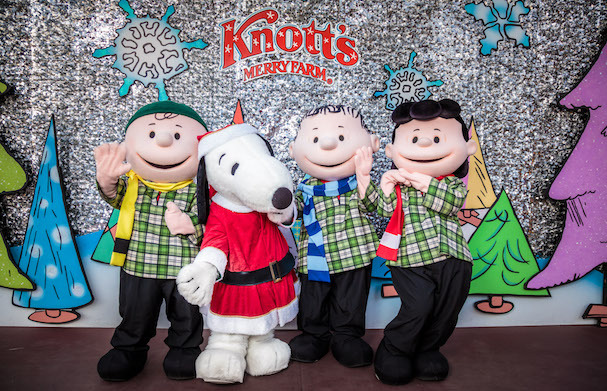 Orange County’s Knott’s Berry Farm® combines world-class thrill rides with traditional family attractions and entertainment. Each winter, the park is transformed into Knott’s Merry Farm, where you’ll find yourself surrounded by sounds and scents of the season. Guests of all ages can enjoy classic shows like Merry Christmas, Snoopy!, the festive ice show. Stroll through the merry streets of Calico for unique seasonal treats, traditional live Christmas carolers, a Christmas crafts village offering unique and personalized gift ideas, Santa’s Christmas Cabin and the enchanting Snow and Glow show with nightly falling snow set to thousands of sparkling lights and traditional Christmas music. Disneyland is such a magical experience any time of year. But there is nothing like the holidays at this park of amusements in Anaheim, just a short distance from Costa Mesa. 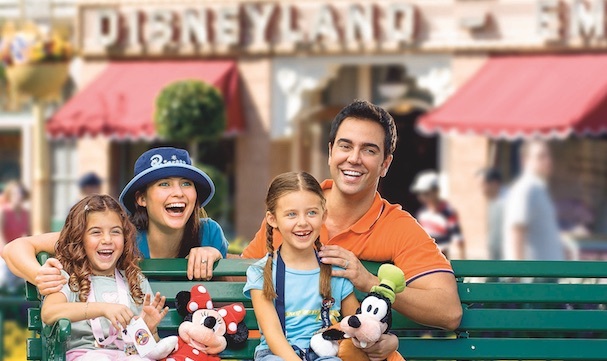 In fact, staying in Costa Mesa and going to Disneyland Resort is so simple with the Costa Mesa shuttle transportation that picks you up at your hotel and takes you directly to the entrance of Disneyland from your hotel. So if you’re planning to visit the ‘happiest place on earth’ this season, we want to make it as smooth and enjoyable as possible. Just grab your Mickey ears and jump on board the comfortable bus and you’ll be at the front gate in no time. To ensure you don’t miss any of Disney’s special holiday festivities, we are sharing this short video produced by the OC Mom Blog: 10 Ways to Celebrate the Holidays at Disneyland. Enjoy! Make your home for the holidays in Costa Mesa by experiencing the magical events happening all over Orange County. There is so much to do and see to help capture unforgettable moments. It’s easy to get to Costa Mesa by car, plane or train. Indulge in a short getaway at one of the participating hotels this holiday season. With a $100 South Coast Plaza gift certificate in hand, you will find yourself experiencing some of the best shopping in the world, which makes it a perfect time to cross a few things off your list. 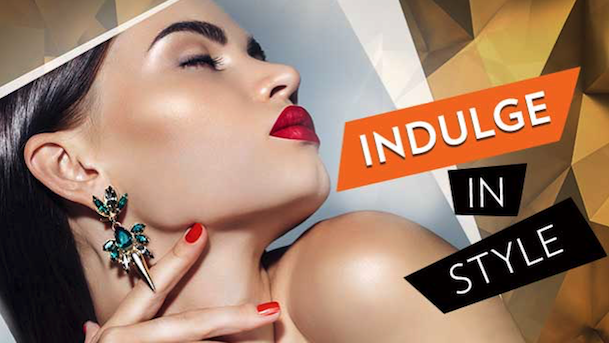 Or, treat yourself to a little something, because we all deserve to indulge in ourselves once in a while.